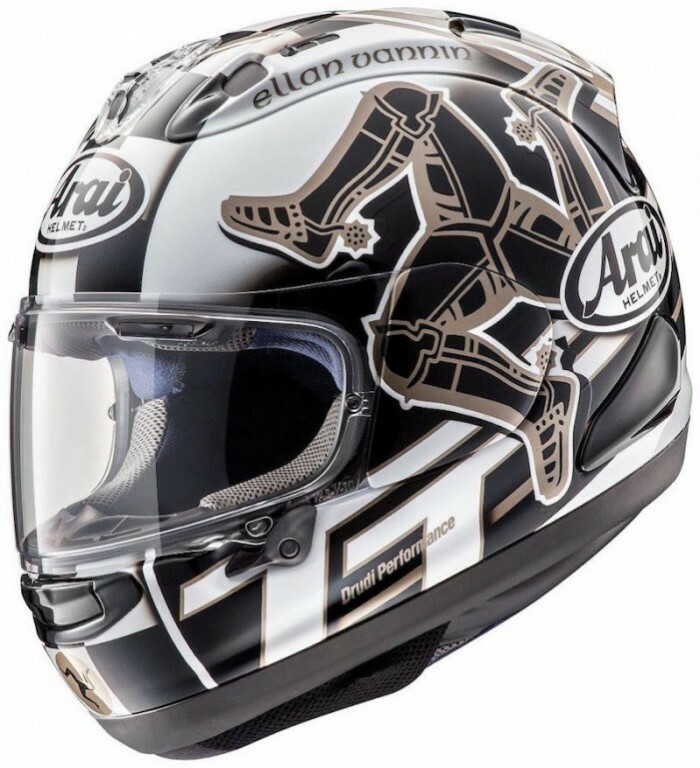 It’s that time of year again – time for the Arai limited edition TT lid. The Japanese moto-milliners have an incredible history at the Island, and each year about this time, they come out with a fabby replica. It’s a genuinely limited thing too – once they’re gone, they’re gone, they don’t do any re-runs. For this year, it’s quite a restrained design – all monochrome hues and bronzey-gold highlights. 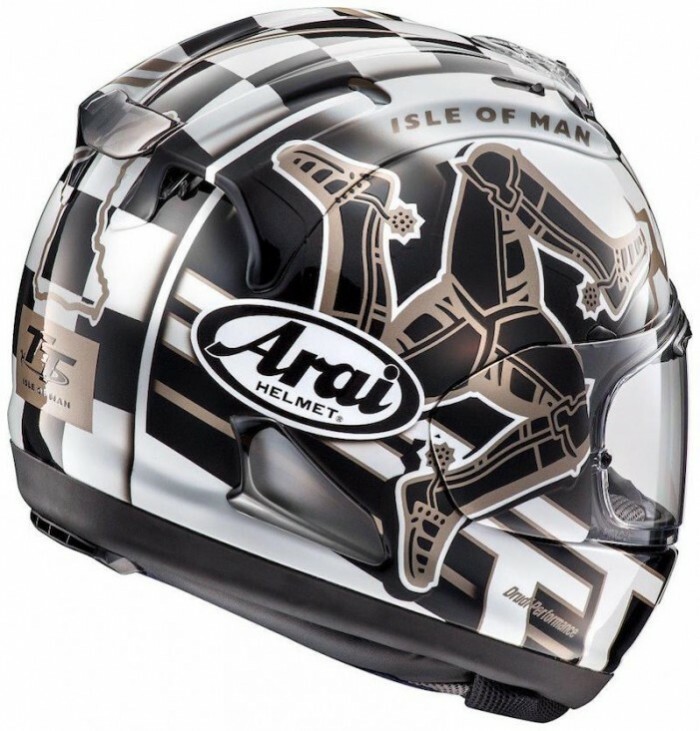 The design is by Italian lid-king Aldo Drudi, and incorporates the TT logo with the Isle of Man triskelion emblem, and a chequered flag theme. The first helmets will be on sale at the TT on May 27, and after that they’ll be available from Arai approved dealers. Arai’s got a huge presence planned at the 2017 TT as ever, with the Arai Village event giving racer meets, interviews, practical helmet care tips, and free servicing for Arai owners.